Need a quote for your power flush? 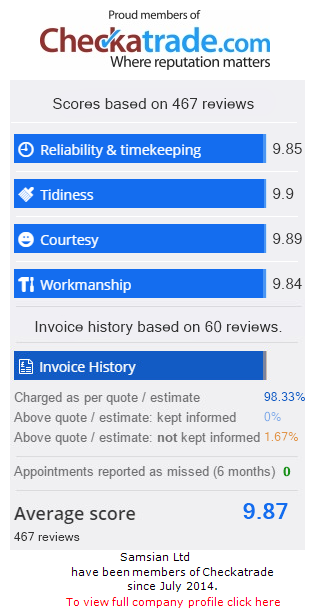 At Samsian Ltd we are are open and honest with our prices & have created an easy to use power flush quote tool. Just enter the number of radiators you have and let us know if you want a system filter fitted after the power flush is complete to help reduce the need to power flush again. For 13 or more radiators just fill out our contact form & we’ll get back to you. Power-flushing quotes are issued in line with our power-flushing Ts&Cs & subject to satisfactory survey. Fitted us in as an emergency & all done in one day excellent job.